Award-giving body pays tribute to the best academic practices that can be adopted by other schools. The country’s prestigious accolade for the “Most Transformative School” comes not only with an honor but also with a P500,000 cash prize and a trophy. This cash prize is a reward for the efforts of the school which has demonstrated the most innovation and transformation in its learning environment, school processes, and systems towards learning effectiveness and school efficiency. The Excellence in Educational Transformation Awards (EETA) is now on its 4th year of search for the best schools, which have defied challenges and have transformed into veritable examples of effectiveness. Bayan Academy is the proponent of the search in collaboration with the Department of Education, Rex Book Store, ABS-CBN Lingkod Kapamilya Foundation, Inc., and Knowledge Channel. Aside from the P500,000 prize for the “Most Transformative School,” more than P2 million in combined cash prizes will be awarded to seven schools that exhibit transformation in various categories. The seven winners will be awarded a trophy and a cash prize of P300,000 each. More than the cash prize, the EETA pays tribute to the best practices and educational techniques that are worth sharing with other schools. The winners will serve as a beacon of hope and inspiration to schools striving to improve their learning environments. “The EETA motivates schools to pursue academic excellence and efficient school administration. The winners exemplify transformation, which refers to the ability of the school to innovate and manage changes, to improve and turn around a difficult situation and to upgrade or uplift education standards,” said Dr. Eduardo Morato, Jr., Bayan Academy president. 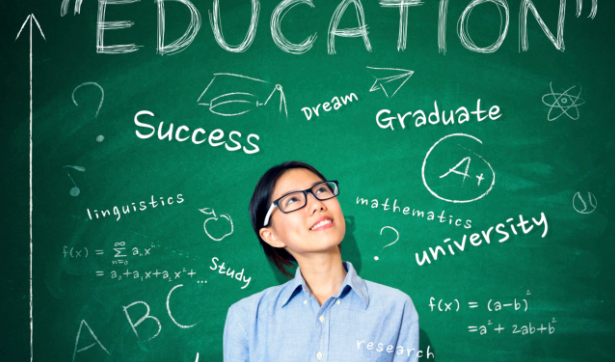 The EETA basically recognizes innovations that lead to the improvement of the quality of education as reflected in curriculum design and development, learning materials, and learning methodologies. In recognition of the new challenges to the country’s basic education sector, the 4th EETA has broadened the search to new areas of innovation such as Education for the 21st Century; Access to Education, Leadership, Governance and Management; and Learning Environment, among others. Of particular interest is how schools have successfully addressed child safety, security, and sensitivity. The 4th EETA also has a category for the most outstanding educator. Dubbed as the “OML Award for Educational Leadership,” this is a tribute to Dr. Oscar M. Lopez, Chairman-Emeritus of the Lopez Group of Companies and Chairman of the Board of Trustees of the Knowledge Channel Foundation, Inc. This award is for an educator who has developed and implemented transformative programs and has led a school, district, division, or region towards excellent learning outcomes. The winner will receive a P300,000 cash prize, trophy, and a Knowledge Channel On-Demand package. 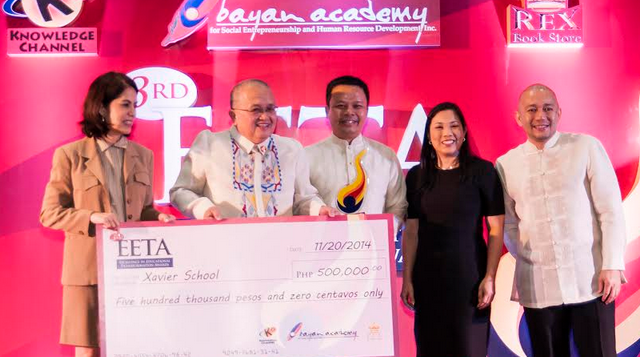 The schools honored by EETA in the past include the Elizabeth Seton School of Las Piñas City, Navotas National High School, Dr. Yanga Colleges in Bulacan, and Xavier School in Manila. Entries are now being accepted. It is open to all elementary and secondary schools, both public and private, who have introduced meaningful and beneficial innovations in their own scholastic environments. For more information on the contest, check out Bayan Academy's Website. Submissions may be addressed to Zaida Villanueva, EETA Secretariat, Bayan Academy for Social Entrepreneurship and Human Resource Development, 2/F Calderon Building, 827 EDSA, Diliman, Quezon City. For inquiries, call (02) 920-3205.